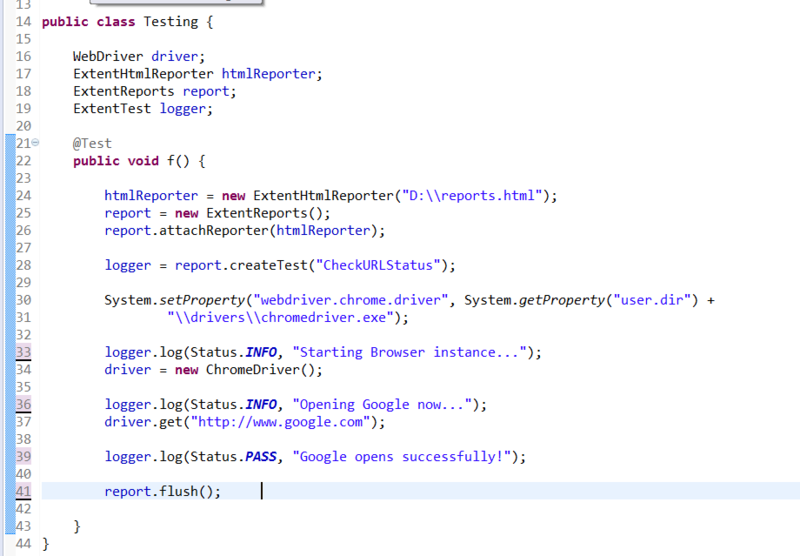 If you have been working on Selenium TestNG for a while, you already know how reports are generated on it. Some of the inbuilt Selenium Reporting Tools include the one you see owing to TestNG framework’s discretion. Every time you run a report a test-output folder gets created. 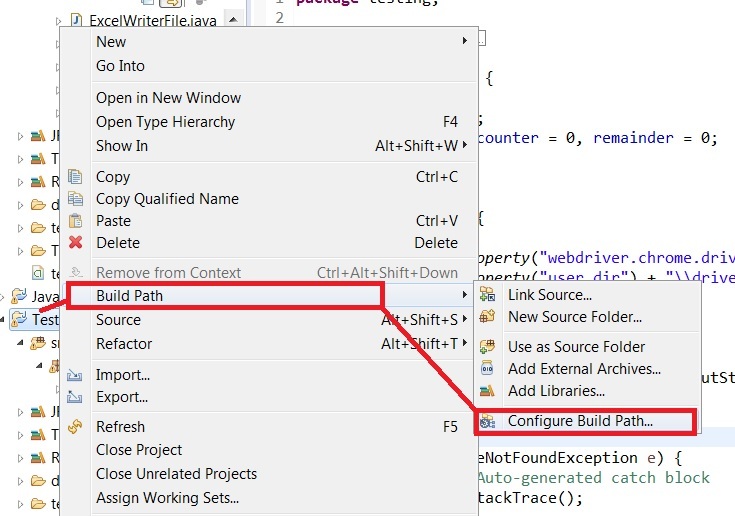 You can find it located on the left-hand side in the package explorer, right underneath “Referenced Libraries” of your project. 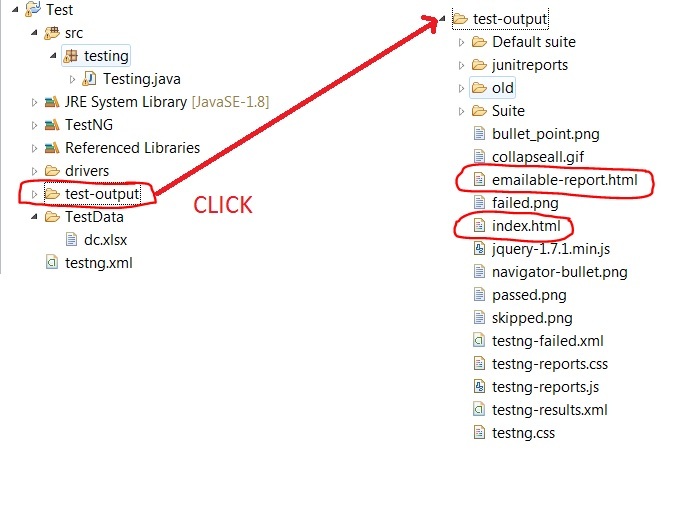 When you flare it open you see that it in the Suite folder there are two files called “index.html” and “emailable-report.html” that will provide you with reports that one could see and learn about how your test cases fared. As the name suggests you can email this report for your clients and developers to see and understand what all test cases are failing so that they zero in on the functionality that’s not working. What’s wrong with the above reports? Just have a look-see. Even though they serve the purpose, they are not easy on the eyes. They do not look like reports that will make a person happy. Extent Report is nothing but an HTML reporting library that comes loaded with tons of features that make reporting a lot much better. It retains these awesome execution reports that are not only great to look at but they are also quite useful. You have the ability to create dynmaic logs. So now that you know all the cool features of Extent Report one of the best Selenium Reporting Tools, it is time to integrate it in your existing Selenium WebDriver. I am assuming you already have Java and Selenium TestNG installed on your system. So moving on to the third one directly. It will open a page up like this. Just click on the version you wish to download. Just click on the latest Java version that’s showing. 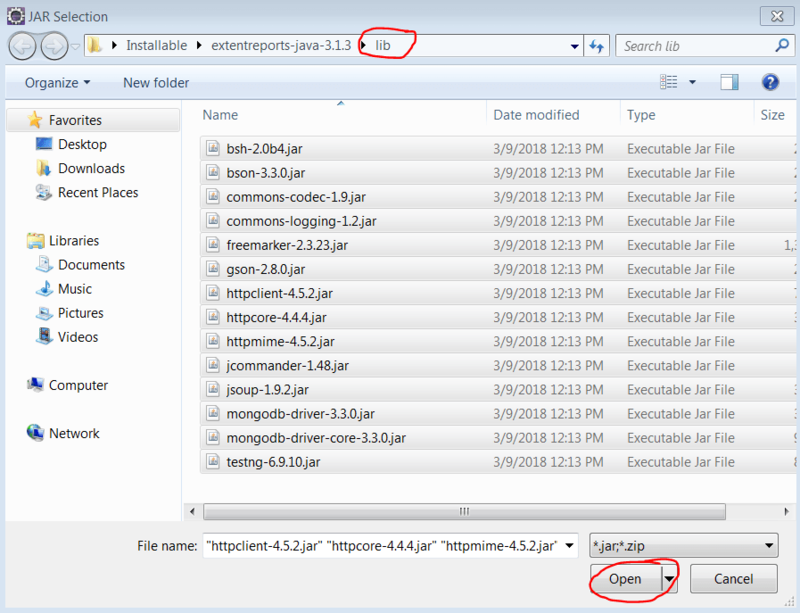 It will download the extent reports Java version 3.1.3. Extract it in a folder and remember the location since you are gonna need in the upcoming steps. Time to configure it in your Selenium Project. Step 3: In the next dialog box click on “Add External Jars…” It will show up in the third tab of “Libraries”. 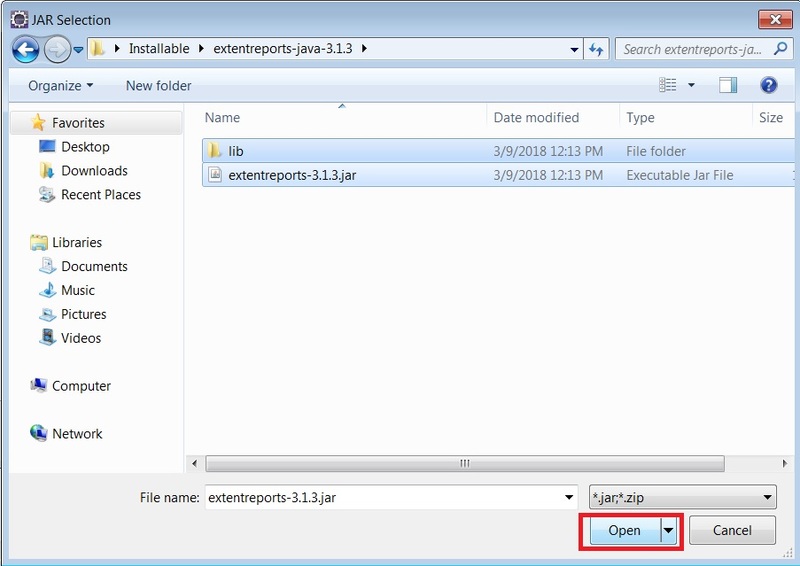 Step 4: Select the extent report file that you had downloaded in Step 1. Make sure you are selecting a jar file. Selecting a folder doesn’t sometimes work. Step 5: Click on Apply and then on OK.
Now that you have integrated it in your report you need to use it in your code for the actual results to show. NOTE: Alternatively, if you are working on Maven, all you need to do is add its dependency in the pom.xml. The downloading of the jar and all happens automatically there. Time to start writing the Extent Reports code now. Now that we have declared these variables, let us use them in our code. Here we are specifying the path where we wish to see our extent reports generated at. But just writing that doesn’t take care of that. We need to use the attachReporter method of ExtentReports class to make sure the reports get attached to the html file. 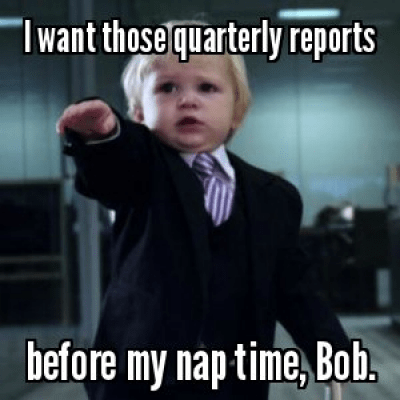 To do that we will first initialize ExtentReports instance. Time to introduce the ExtentTest class into the code. 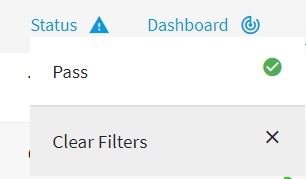 We use the instance of this class to log reports. 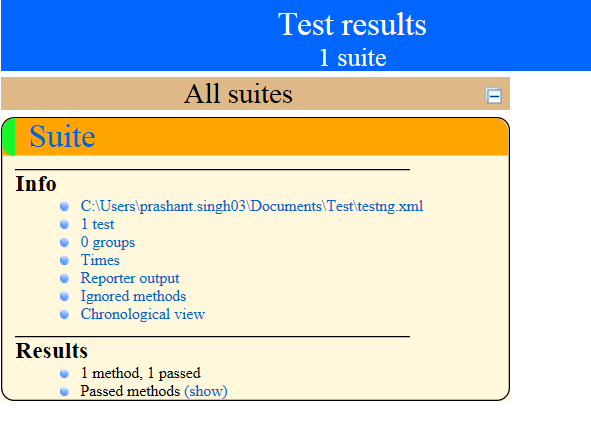 We will make use of log() method and createTest() method to gather reports at places required. “CheckURLStatus” is nothing but the name of the test case that I have given for my report. 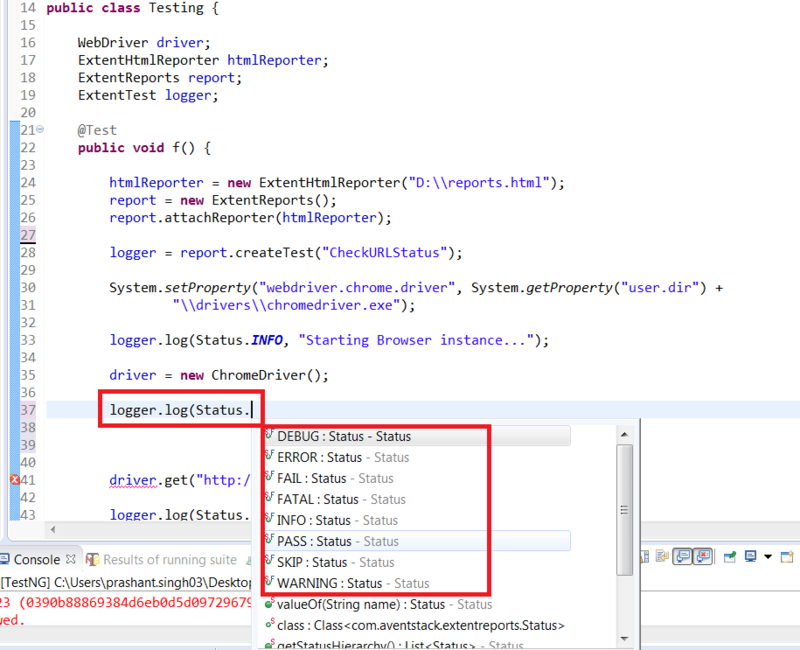 We will use the createTest method of ExtentReports class to start using the ExtentTest object. As you can see we are logging in a message called “Starting Browser instance…” before the browser instantiates. This log would be helpful in understanding what all procedure happened and in which order. You can, of course, use it as per your coding requirement. I have used it right before starting the browser instance before instantiating ChromeDriver(). I will put another one right before opening Google’s site too. Step 14: After the google’s URL opens, you want to retrieve a final Pass or Fail log as well. As you can see we have used the status as PASS here. The message should be reflected in green. Step 15: Run this baby! One of the coolest Selenium Reporting Tools, huh! On the left you can notice the name we had specified in the createTest method. If there were many test cases in our code the left hand side would have had that. We could have got a better perspective of how many test cases passed or failed. Of course in the image above we just have a Pass method and hence that argument is invalid. So how does the red look like? When your test case fails you get a report that indicates the failed test case in red. So now that you know How to Generate Extent Report in Selenium, isn’t Extent Report one of the best Selenium Reporting Tools out there? Is there any doubt in that? Check out other Selenium Tutorials as well. Thanks a lot for the valuable tutorial on the Extend reporting with Selenium. Actually i have 10 test method and in each i had called Main class which has 5-6 sub classes. Could you please guide me how i should do it for my project? whether if i mention the above mentioned in before and after suite is enough or do i need to mention these each and every class? No need to mention it in each and every class. You can create one Extent Reports class and define some methods for INFO, PASS, FAIL, ERROR etc. Then you can simply any of the required methods where you wish to see the log.